Slowly but surely, we are making our way to spring, and I have made us the perfect transitional mocktail to celebrate. Sweet, summery limeade is getting a coral-colored makeover by way of one of winter's prettiest fruits. I have always loved grapefruit. As a child, my grandmother would peel them for me and I would dunk each wedge into a bowl of white sugar. These days, while I use significantly less sugar, my fondness for the tart, pink fruit has not diminished. This limeade is sweetened with simple syrup and fancied up a bit with some lime-flavored sparkling water. My favorite limeade of all time comes from a little 100-year-old drive-in diner. I have been returning for those styrofoam cups packed-full of pebble ice ever since I can remember. One of their limeade's distinguishing factors is the sparkling element. I knew that I wanted to bring that same fizzy pop to this limeade. Look at this pretty blush hue. How perfect would this be for Easter? Or a baby shower?! DO IT. Give the pitcher a good stir and toss in plenty of ice. Just like that, it is ready to serve. Truly, it is the easiest drink ever. Oh, and if you want to make this in advance, feel free! Just be sure to hold off on the ice and sparkling water until just before you plan on pouring. Sweet and tart, icy cold and bubbly. It does not get any better than this. Well, at least until next week, when I will declare something else the best thing on earth. Recipe can be easily multiplied. Combine water and sugar in a 2-quart saucepan and set over medium high heat. Cook, stirring often, until the sugar has dissolved. Bring the syrup to a simmer, then remove from heat. Allow the syrup to cool completely while you juice the citrus. 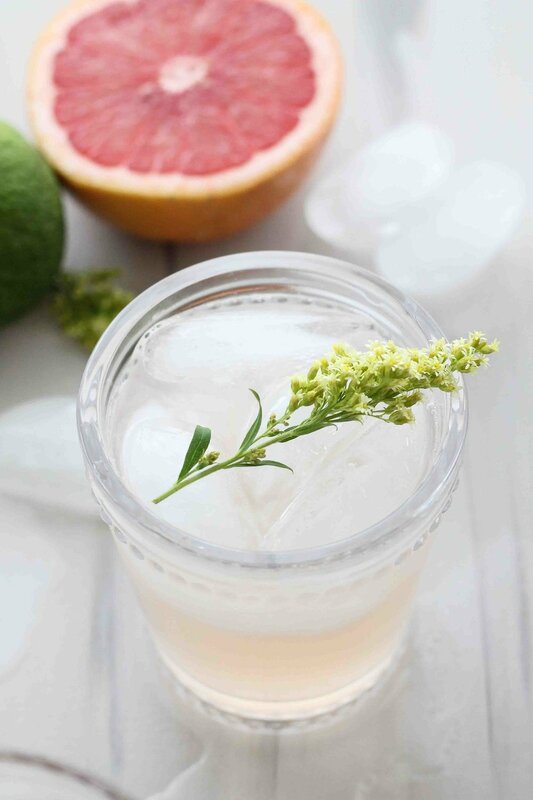 Combine cooled syrup, grapefruit and lime juices in a small pitcher and fill with ice. Stir to combine. Stir in sparkling water and serve immediately over ice. Garnish with grapefruit ribbons, if desired. Enjoy!